We’ve said it before, but pretty much every gaming hardware brand out there these days is trying their best to traffic in the hype around esports. And that’s only going to become more common in the future. As that particular slice of the gaming market gets bigger, it only makes sense for companies to try and use it as an opportunity to speak to that audience. Some are doing this through massive partnerships with major esports events, like HP and Intel. Others are recruiting camera-friendly esports personalities who can offer positive testimonials about the quality of their consumer products. In the past, Logitech have done their fair share of both these approaches. But with their new Logitech G Pro range of products, they’re looking to take things one step further. In their own way, Logitech are changing the status quo for how gaming hardware is positioned. In the past, you’d have three tiers: entry-level, mid-tier and premium. Now, you’ve got a fourth: professional. It’s here that Logitech’s new Logitech G Pro Gaming Headset comes in. If there’s anything that impressed me up-front about both the Logitech G Pro Wireless Mouse and Gaming Headset, it’s that the unboxing experience involved is really good. The packaging is simple and discrete. It might be a tad much to say it feels professional, but it does feel a whole lot more premium than other headsets out there. As with the Logitech G Pro Wireless Mouse, it felt like I was unboxing something on the level of new Samsung smartphone more than it did a gaming headset. Essentially: it is what it looks like. A slightly-more professional-looking take on a the typical Logitech gaming headset. Nothing more and nothing less. That might sound a little boring. But at the same time, that’s probably what a professional-grade Logitech gaming headset ought to be. That isn’t to say there aren’t a few flourishes and value-adds involved. The Logitech G Pro Gaming Headset boasts a TR90 nylon headband with a stainless steel slider. 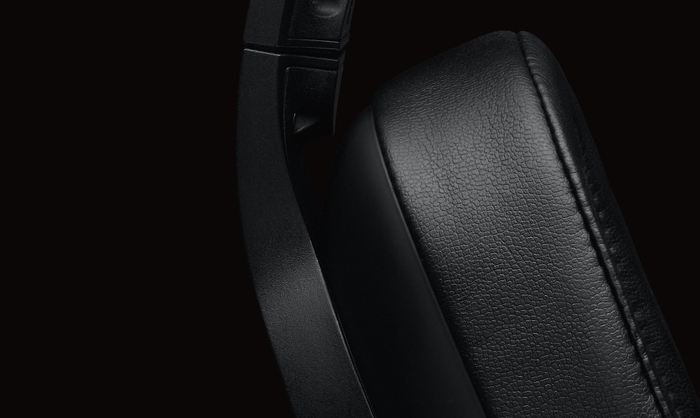 It also comes bundled with both leatherette earpads and soft-touch earcups. To my surprise, the Logitech G Pro Gaming Headset here proved surprisingly resilient to sound dilution. There’s no proper, full-blown, active noise-cancelling tech here. It’s all in the fit and form-factor of the thing. All told, they proved more than adept at keeping out unwanted noise even if they didn't achieve total isolation. That being said, if you’re the kind of person who likes to indulge themselves with RGB lighting, this might not be the headset for you. There’s not really any LED lighting to speak of on the Pro Headset itself. 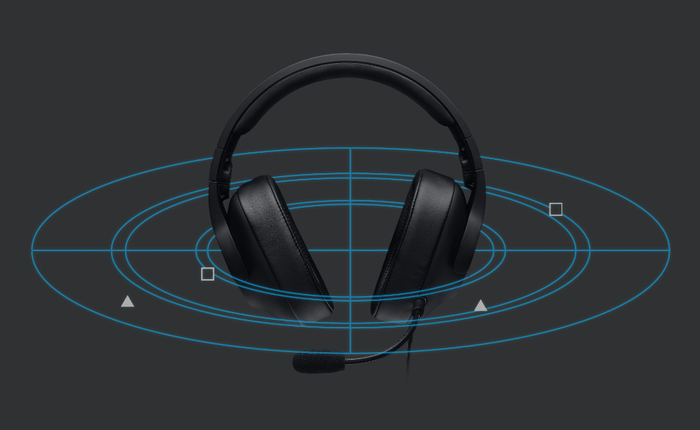 Visually, The Logitech G Pro Gaming Headset is a little flat. It’ll be interesting to see if, over time, the absence of RGB becomes the key point of difference between the Pro and Premium tiers of Logitech’s portfolio. Regardless, the sonic qualities of the Logitech G Pro Headset held up their end of the bargain. I don’t know if I would go so far as to say it’s the best-sounding headset I’ve ever used, but it certainly proved the most consistent. I’d always manage to hear all my online comms and in-game noise without too much fuss and the headphones themselves were quite comfortable to wear, even over longer sessions. Even single player experiences felt like they were somewhat-enhanced. The electric grooves of Frozen Synapse 2’s score and the chirpy tunes of 7 Billion Humans sounded really clear and vibrant when heard through the earcups of the Logitech G Pro Gaming Headset. As for the microphone, you couldn’t ask for a better audio input. It’s got full-range flexibility, so you can adjust as needed and it always delivered pitch-perfect results when I needed it to. No major issues to report here. 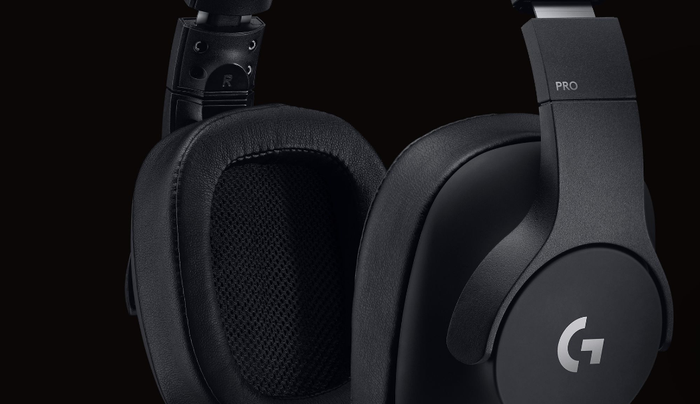 If anything, longevity and reliability might just be the thing that pushes the Logitech G Pro Gaming Headset over the line from good to great here. No matter the condition. It just works. It always sounds good. It’s never not comfortable and, for the price, there are no real caveats beyond the absence of any RGB.